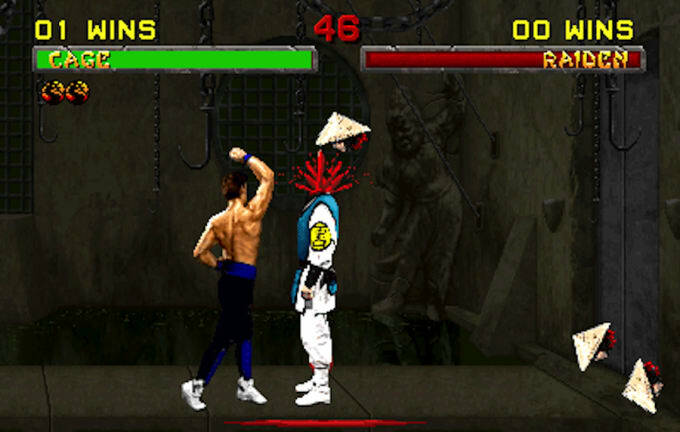 Mortal Kombat is just insane. Need proof? Look no further than this bizarre fatality where our favorite movie star defies the laws of human anatomy, by knocking off three heads in a row from a single body. We know Johnny Cage is all about the ladies but if he said, "gimme some head" before doing this fatality to a dude, we wouldn't be surprised.